A busy gliding airfield to the north of the city of Kotka. Karhulan Ilmailukerho Karhula Gliding Club pursues very active gliding in this field, and the towing used is winching. This is good to note. 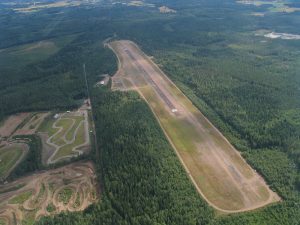 The motor flying Kotkan Ilmailukerho Kotka Flying Club also uses this field. 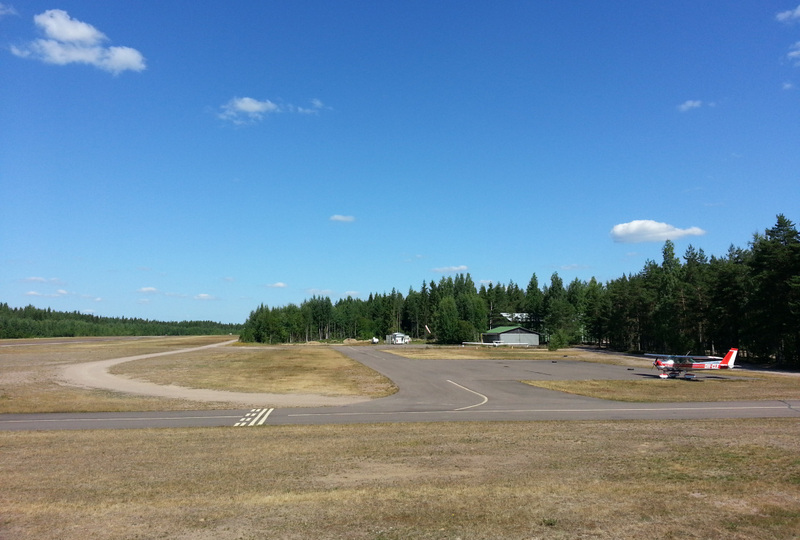 Visiting aircraft have their own parking area between the fuelling point and the taxiway leading to the hangars. Lodging facilities are in old brracks, and therefore rather primitive. Overnighting is however possible. 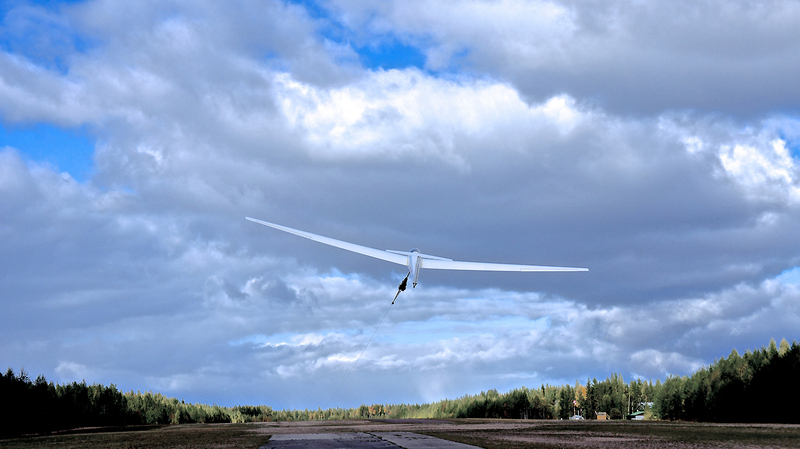 Gliders operate at the ends of the field, taking off from small asphalt patches and landing at the very end on sand/grass. 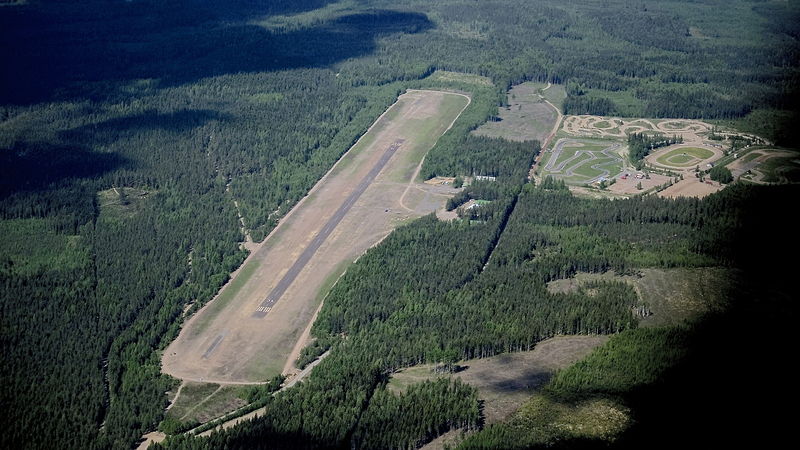 The towing line rests on the ground to the west of the runway, and does not disturb runway traffic. The distance to the centre of the Karhula area of the city is approximately 7 km. The asphalt-surfaced runway, taxiways and parking area are in good condition. 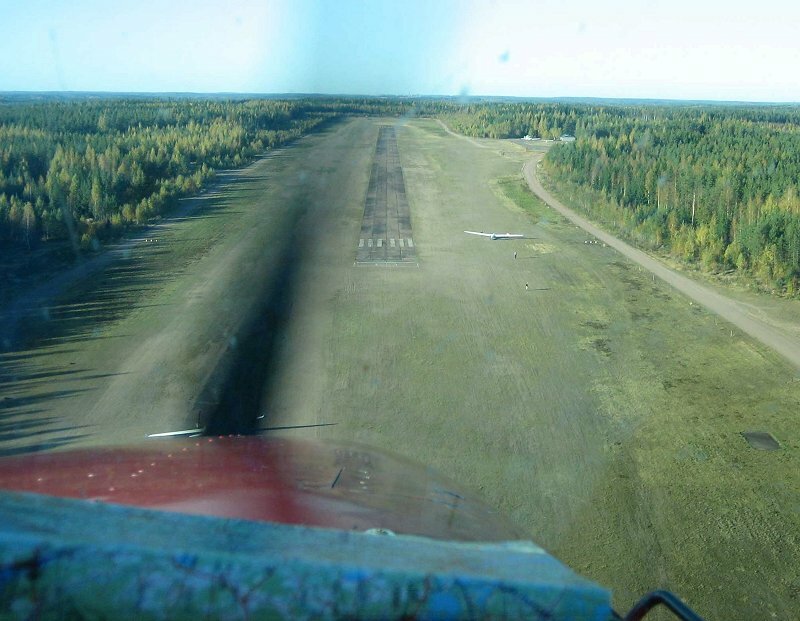 The area around the runway is sand, and consequently completely level. As the surfaced runway is lengthwise situated in the middle of the field area, there is at both ends some 200 metres of level field surface before the forest begins. Fuel availability: Only used by Kotkan Ilmailukerho, no sales. Worth visiting is the aviation museum of the Karhula Ilmailukerho. Situated at the field, free entry. The Hamina city circular plan and the Hamina bastion some 20 km to the east are worth seeing from the air. The harbours of Hamina and Kotka, and t6he city of Kotka are interesting, too. Nearest restaurants are by the Karhula centre, some 7 kilometres distant. 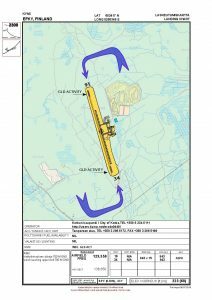 EFKY Visual Approach and Landing Video. Watch full screen and keep close captions on. Here is a recent aerial photo of EFKY “the way home”. The photo was taken from the south on 26 May 2014.